Candey Britnell talks about her bariatric surgery experience in Mexico. Candey had her bariatric surgery in the Mexican border town of Tijuana. Would like to thank your company for helping me to navigate the medical in Mexico. From start to finish you have been great at answering all my questions and helping me to make this decision in my life. I would like to thank Ricardo for picking us up at the airport. It was so nice and helped us understand the area. Veronica you were great meeting us and visiting and helping us with our extra problems like my friend breaking her glasses and offering great places to shop and eat. The doctors were all great but Dr. Reyna was very welcoming and spent great time with my friend and myself which was shocking. Doctors in Canada treat you more like an inconvenience in the hospital. The nurses were friendly and great. It took them a while to fix our door and that is the most negative thing I have to say about my experience. Marta in the restaurant was a wonderful woman to my friend and traveling companion. Thank you for the experience and we will definitely be in touch. 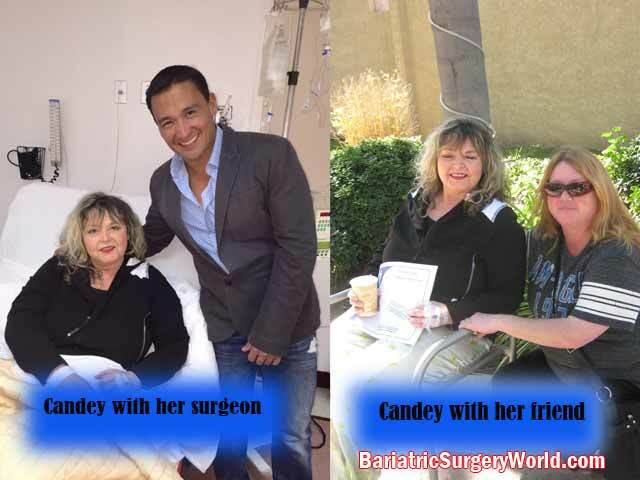 Candey’s weight loss surgery was performed by a prominent bariatric surgeon serving Baja California, Mexico. He has helped thousands of people in their fight against obesity. 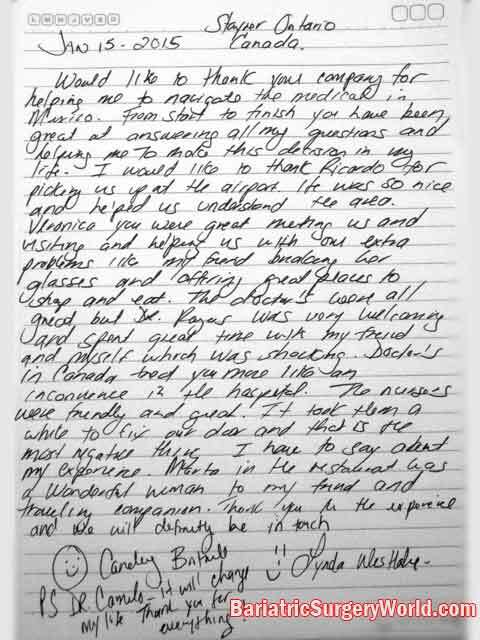 Check out another client of his review gastric sleeve surgery in TJ, Mexico. We facilitate quality and affordable weight loss surgery by well-experienced bariatric surgeons at top hospitals and surgery centers in Mexico. Contact us via the estimate-form on the website for more information.